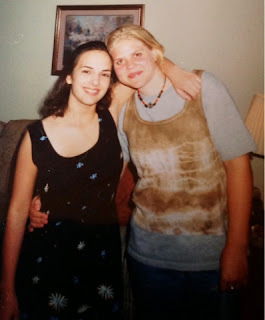 Anita and I have been friends since we were 16. We have known each other more than half of our lifetime. It's pretty incredible to have friends like that and I dare to say that our lives are better because the other one is in it. We have gone our different paths, yet we have made it a point to see each other as often as possible and make those paths cross. During these encounters we have always been able to pick up where we left off. Those kind of friendships don't come around too often. Recently, we have been in the same state and have only been separated by 2 hours, which is a first in a very long time. It has been wonderful. For once there are no continents and oceans between us, and seeing more of each other has truly been inspirational. We both love making things from scratch. May it be from rough sawn lumber, stuff that grows in our garden, or simply because it is way better if we make it than if we were to buy it. This passion sprung into the form of a new little collaborative endeavor in which we celebrate the handcrafted and homemade. 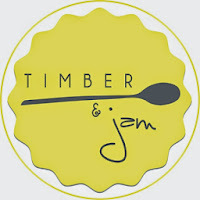 We call it "Timber & Jam." 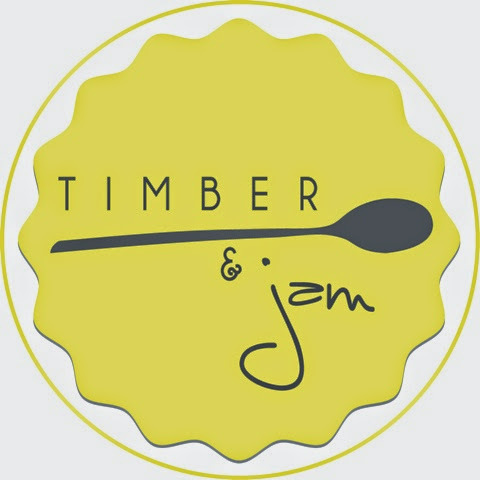 "Timber & Jam" is a collaboration featuring Anita's homemade delights such as jellies, jams, breads and scones and my original handcrafted wooden wares such as cutting boards, spreaders, serving trays, small pieces of furniture, and a few canned goods as well. Together, these items are beautiful, fun, cohesive, and complementary and make wonderfully delicious gifts! Anita's husband Neil designed us a fantastic logo, we threw together a Facebook page you all should check out and "like" and follow us and see where this little project will take us. We had our debut this past weekend at the "Vintage Lynchburg Spring Market" and it was a big hit. We have had so many people interested in our idea and it was a fabulous event. Thank you all for your support, we love making things for you!